Adult Pad Placement Guide by Philips Healthcare. A "roadmap" showing electrode pad placement on a patient. Used for training purposes. 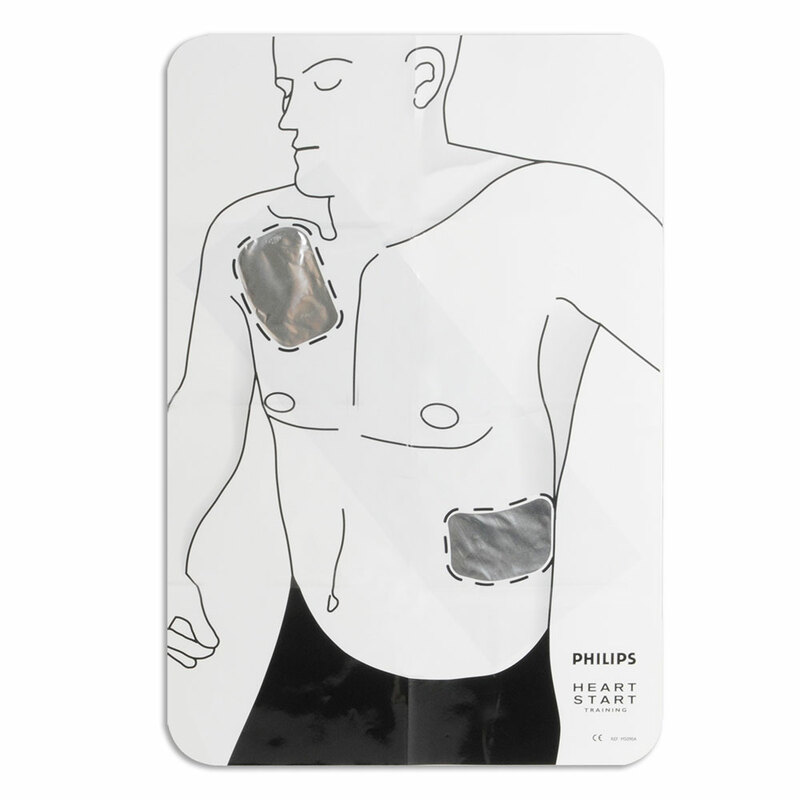 It enables the training electrode pads to function properly during training simulations. Dimensions: 16" x 23.5". I like using this AED placement guide as it provides a nice visual to my students and it is easy to place on top of a manikin. It is also compact and fits in my AED trainer case so I always have it. You need to be careful however to not fold the guide where the electrodes go or the training pads will not make good contact with the paper. They are great to show someone how the trainer works. We have used many of them.